Colors tv daily soap Bepanah has taken a leap of 6 years and after the leap, Aditya has returned back to Mumbai. Aditya has come to Mumbai but no one knows that he has come back to Mumbai. Therefore when he sees that Zoya has come to the flowers market for buying the flowers then he decides to steal her flowers. 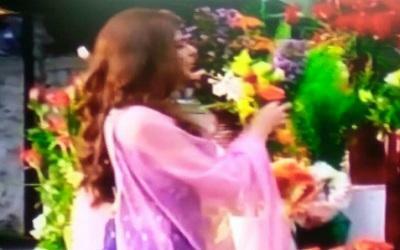 While Zoya is busy bargaining with the shopkeeper, Aditya snatches the flowers from her and he runs away. Zoya runs behind her thinking that he is a thief but when she catches the thief then she comes to know that it is actually Aditya, she gets shocked.